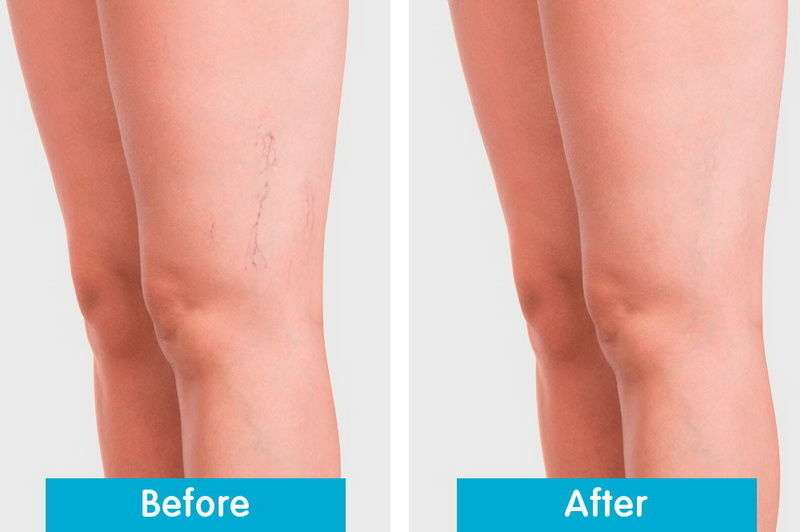 Say goodbye to leg veins! No longer hide your spider and varicose veins behind dark stockings or long trousers. A treatment is now available that can be an alternative to surgery. The treatment gives excellent results, is very safe and involves minimal discomfort. Micro Injection Sclerotherapy is the treatment of choice for many sufferers of spider veins. The treatment involves the injection of a solution into the veins which leads to the disappearance of the spider veins. Both legs will be treated at the same time and 1 to 2 visits are usually all you need to get clear legs. Normal activities may be resumed immediately after the spider vein removal treatment. You will need to wear compression stockings for about 10 days. While you wear the stockings, you should avoid highly strenuous activities and exercise.